Over the course of the last two months I have been so busy with family life, I haven’t had time to list many items in my store. My inventory was down to around 75 items. I want to keep it over 100 and hope to get it to 150 items by summer. Life has calmed down some; still of few more weeks of boys’ activities and home schooling. I have been trying to list a few items and realized I haven’t shown you these items that I found last fall. Summer is coming so why not use a beautiful woven basket with cute plastic plates and plastic paper plate holders. It is a Basketville basket. If it doesn’t sell, I will keep it for my own storage. I haven’t listed this woven basket yet, but hope to soon. Love the color of the plates and cups. I did list a basket I have shown before. I will have 3 picnic baskets listed. I recently sold one. With spring in the air, now is the time for people to be looking for these extra-large baskets. I really do think they would make great storage in my home. I also have been listing some magazine racks. I love the color, silver. This funky magazine rack is different, but great sleek shape. It feels 50s to me. Normally I see two-sided racks like this one below. This magazine rack looks space age to me, but I would prefer it to be silver. Yeah, I know, I know…gold is making a come-back. But not for this girl, at least for a while. Finally this bamboo magazine rack is collapsible. If it doesn’t sell I plan to paint it another color. So there you have it some of my first listings in a while. I am sure as I keep working on it, I will find more things I haven’t shared. Plus I hope to get back to auction sales soon. Garage sales won’t start for another month around here, but I can’t wait. It has been too long. So do you have auction sales going on where you live? When do they start? 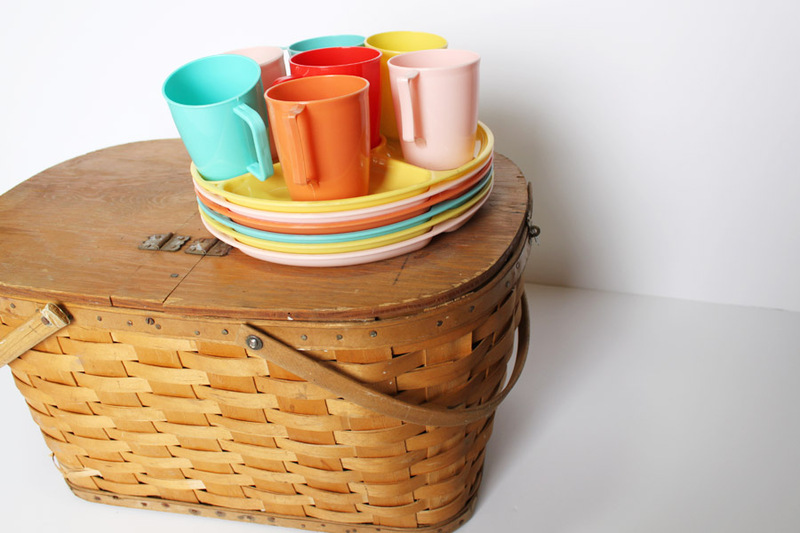 This entry was posted in Junkin' Pickin' Finds and tagged magazine rack, picnic basket by Karen Grosz. Bookmark the permalink.